Scotland is a passionate country; passionate about sport, music, politics, and love and romance – and Glasgow holds a romantic secret! From the Old Forge at Gretna Green, in the Scottish Borders, where hundreds of thousands of marriages have been celebrated over the local blacksmith’s iron anvil, to the love poetry of Robert Burns, which has melted hearts from Manhattan to Moscow, Scotland, like the rest of the world, loves a good love story. At this time of year, when the postal service, the Twittersphere, and almost all online and print media is filled with St Valentine’s Day stories and messages, it might surprise you to learn that a relic of the saint - allegedly a bone from one of his forearms - lies in the Blessed John Duns Scotus Church in the Gorbals area of Glasgow. 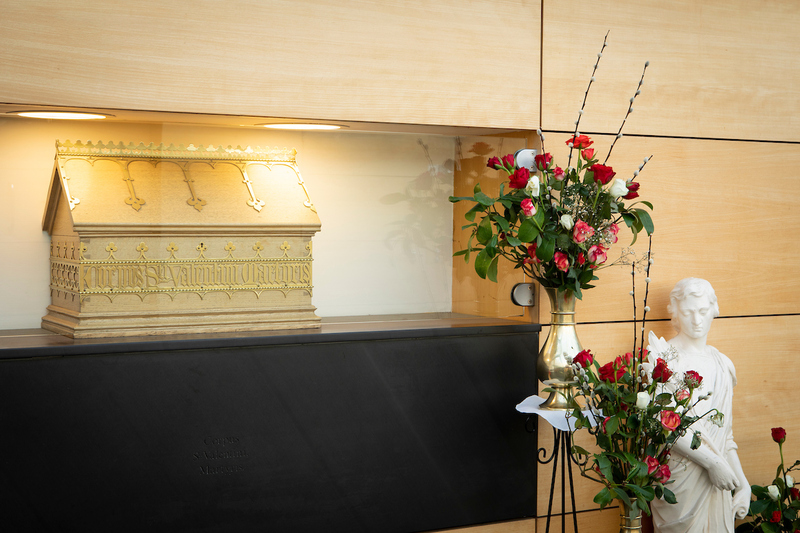 There, behind a pane of protective glass, you will find a wooden reliquary, inscribed in brass with the Latin phrase ‘Corpus Valentini Martyris’, meaning ‘the body of Saint Valentine’. Quite how such a precious holy relic travelled from third century Rome to 19th century Glasgow is a story worthy of any St Valentine’s Day. Truth be told, religious historians can’t quite agree on which Valentine the festival is named after; there are two good claimants, and an outside bet. One was a Roman priest, martyred on the Flaminian Way; the other a bishop of Terni, martyred in Rome. There was also a third Valentine, who was killed in the Roman province of Africa on the same day, February 14, but little is known about him. For argument’s sake, our money is on the ancient relic belonging to either the priest or the bishop. 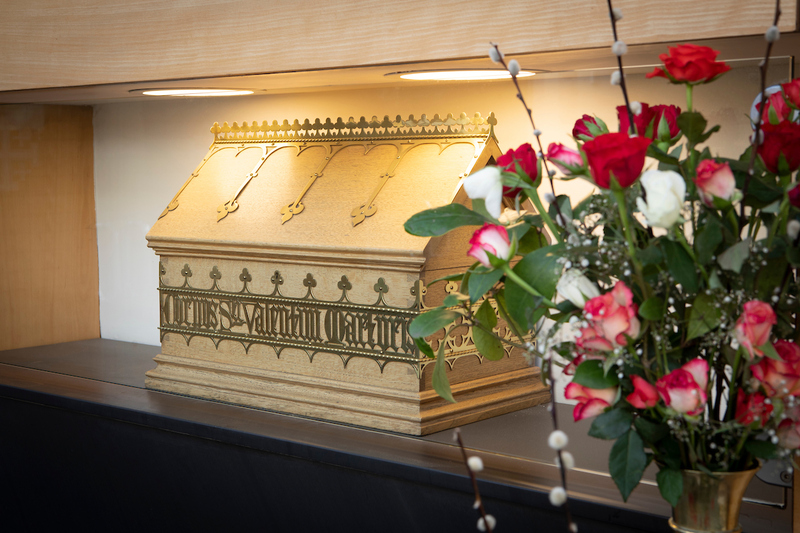 The reliquary, and its precious contents, arrived in Glasgow in 1868, when a wealthy French family sent the relic to the Franciscan monks of the then new St Francis’ Church in the Gorbals for safe-keeping. There, stored in its wooden chest, in a side aisle of the church, the relic lay almost forgotten for more than a century. It was only when the Franciscans moved with the relic to the Blessed John Duns Scotus Church in Ballater Street in 1999 that the existence of the remains became widely known. Following extensive publicity, Glasgow proclaimed itself the ‘City of Love’ and in February 2002 launched the City of Love Festival, an event which has been repeated in subsequent years. 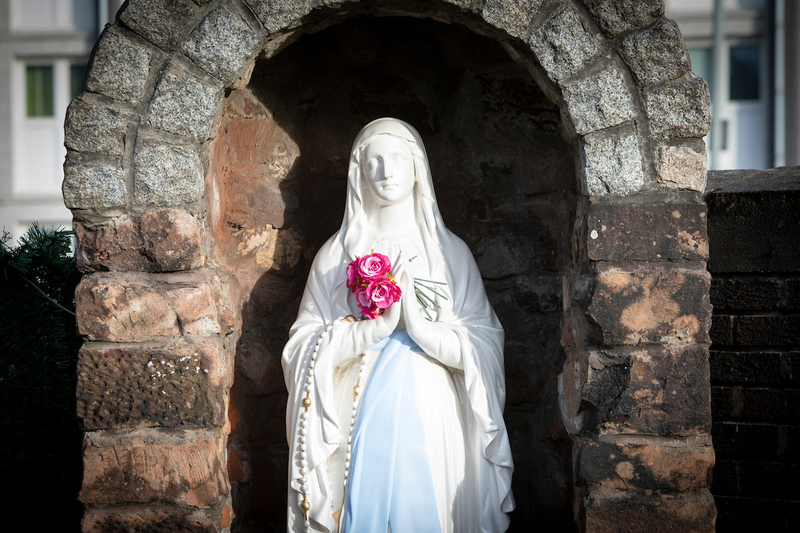 Now, every year in the run up to St Valentine’s Day, a statuette of the saint is placed beside the reliquary and decorated with red roses, and the friars say prayers for those around the world in love, and those still seeking love. Since the reliquary’s ‘rediscovery’, the church has become a favourite spot of pilgrimage for young lovers, to propose marriage or solemnise their engagement. The original Saint Valentine would probably be very surprised to find his name associated with love and romance. The modern festival’s roots lie deep in pagan, rather than Christian history; the romanticism of Medieval Europe, and the sentimentality of Victorian Britain. In 496 AD, Pope Gelasius I established 14 February as the Feast of Saint Valentine. However, there was already a pagan festival - Lupercalia - on this date, when young unmarried men would make whips from the skins, and strike young women with them, as it was believed this would make them fertile. Not something we would advise you doing to your sweetheart today! Many of the traditions we associate with St Valentine began in the 14th century, and were popularised by Canterbury Tales author Geoffrey Chaucer, who made the first recorded reference to February 14 as the day when wild birds choose their mates. Two hundred years later, William Shakespeare gave a line about St Valentine’s Day to Ophelia, a character in Hamlet, showing that the romantic view of the feast day had stuck. By the 18th century, lovers were exchanging notes on Valentine’s day, often decorated with lace. In the Victorian era, mass production became possible, thanks to new technologies, and Valentine’s cards were made in vast quantities. Glasgow isn’t alone in laying claim to a relic of St Valentine, bits of the poor man are to be found across Europe. While Rome claims to have his skull, other ‘bits’ can be found at Whitefriars Street Carmelite Church in Dublin, Ireland, and at the Birmingham Oratory. France, Malta and the Czech Republic also reportedly own reliquaries of St Valentine. Today, Scotland still welcomes lovers, and cherishes love. With everything from fairy-tale castles to dramatic mountains, beautiful beaches to buzzing cities, it’s the perfect place for a romantic break, or even a proposal. Who knows, a short visit might be the start of a lifelong love affair. If, during your visit, you have some spare time, why not pop into the Blessed John Duns Scotus Church, and say ‘hello’ to the man who inspired the idea of St Valentine’s Day.